Season: Mid June – mid July and Mid September – Mid November. Maximum altitude: 4100 mt. from sea level at Minkani pass. Duration: 6 Nights and 7 Days camping with all meals. Morming drive to Salli, which is 65 kms from Dharamshala. Vehicle drop you at the hyrogeneration plant, which is the starting point of the trek. 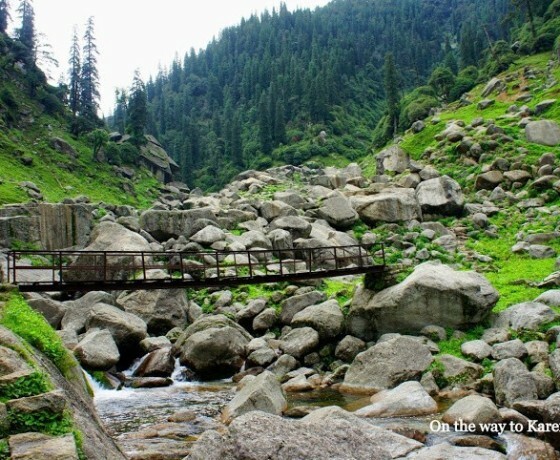 Trek start with improvised bridge over small stream (small tributary river). Trek trail is all the way along the river till the Chandrela Dhaar. 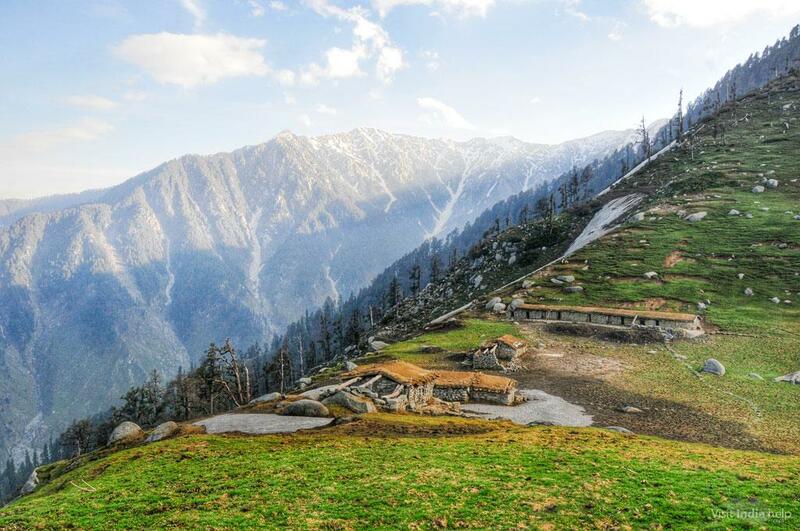 Trek till Chandrela is gradual uphill and considered as easy trekking. Morning post breakfast, start hiking up to chakrotu. During the day trek you observe vegetation start decreasing as you move upwards. Today’s trek has some gradual up’s. 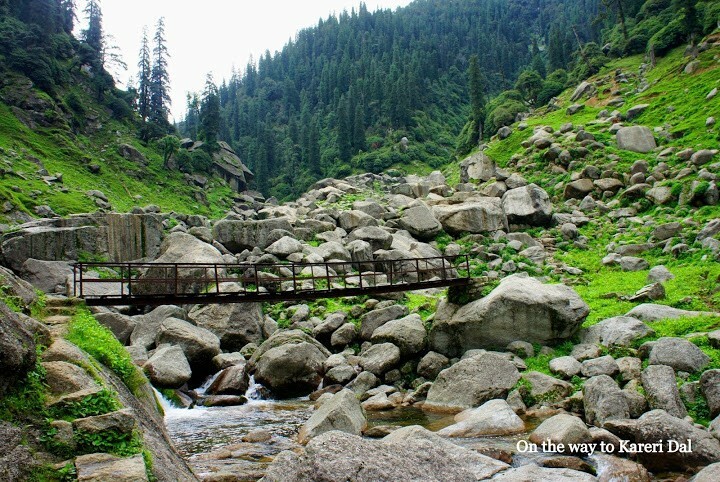 Start early in the day to cross Balyani pass which is at 3850 mt from sea level. Hiking up to Balyani jot is gradual up hill. 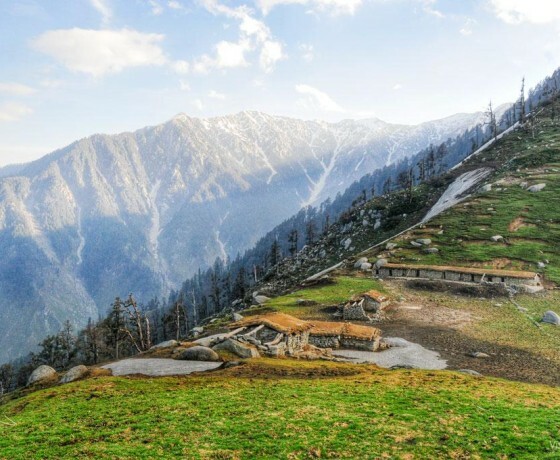 After Balyani pass trek goes downhill for days camping area, stay at Dalhi. 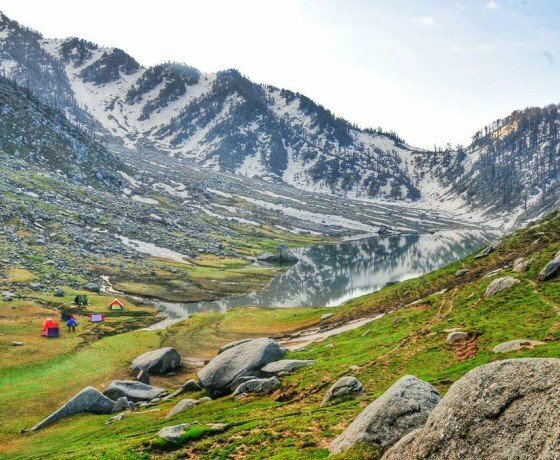 Morning start trekking towards Lam Dal Lake, spend time at Lake and around and later return back to Dalhi, as camping is not allowed near sacred lakes in Himalaya’s. Lam Dal lake is considered as holly lake in the valley. Anyone can surprise to see such a big lake in the mountain terrains at this altitude. Circumference of the lake is 2.5 km and it take 2 hrs to complete round around. Local people visit the lake and have holly dip in the lake during Krishan Janmastmi. This lake is considered as the home of Shiva and Shakti. Camping around the lake is not allowed. You can see many small caves around here and some of temporary stone settlements of local people. During their visit to Lam Dal they stay here. These caves are mostly used by Local shepherd called Gaddi. Pilgrims of both the valleys- Kangra and Chamba visit here every year for a Holly dip in the Holy lake. Morning post breakfast, start trek to Kareri Lake. 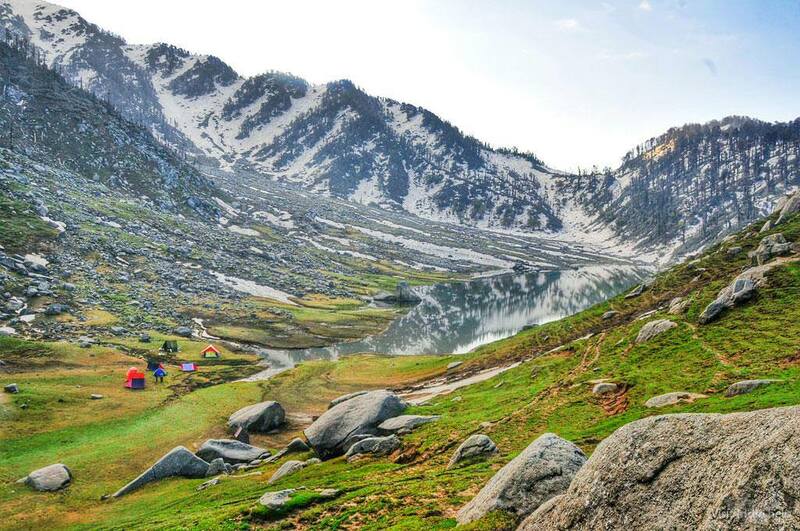 Kareri Lake is passing through Minkayani pass which is the highest point of trek. Trekking uphill in mountain trail till Minkayani jot which is at the altitude of 4100 mt from sea level. Minkayani jot provide view of Kangra valley down and you can see Kareri Lake down deep in the valley. Downhill to Kareri Lake takes 2-3 hrs. Morning start trekking downhill to Kareri village. Trek is along with Nyund stream. Trek crossing stream many time over improvised bridges built by local villagers. Trek meets the road near Nouli village, but still not motor able. You need to walk in the raod for another 2 kms to reach Kareri village. Drive from Kareri vallage to Macleodganj is 1-2 hrs. Vehicle leave you at your hotel. Above price includes the following services:-. •	Accommodation for 06 nights in Dome tents on twin/triple sharing basis. •	Meals from Lunch on Day 1 to Lunch on day 7 as per itinerary. •	Accompanied by local guide, cook, porter, helper for trekking and camping. •	Sleeping bags, mattress and dome tents provided for stay. The above price excludes the following services:. •	Any meals other than specified in the program. •	Any en-route or personal expenses such as alcoholic & non alcoholic beverages, telephone calls, tips & gratuities, laundry etc. •	Personal equipment for trek like clothes, shoes, day packs, personal medical kit etc. However, light weight carry-mattresses with sleeping bags will be provided by us inside the tents during the trek. •	Any exigency expenses caused by or liability for disturbance in trip program due to circumstances beyond our normal control. Such as airline delays, road blocks, vehicle malfunctions, weather conditions, sickness, natural disasters, riots etc.